Giant Gundam Wedding: Speak now or forever hold your fire. I have been remiss in my posting and have much catching up to do. Joe O'Brien over at my one-stop shop for sci-fi news and discussion, hardcorenerdity.com, reported weeks ago that construction on the giant Gundam robot in Odaiba that led to my Gundam World post, is now complete. And apparently it's open for weddings, bar mitzvahs, proms and graduation ceremonies. The lucky couple here won out over 547 other entries in the Gundam wedding contest sponsored by the T & G (Take and Give) Wedding Planning Company. No word yet on whether the couple plan to spend their honeymoon in orbit or on the moon. But I suspect they were over the moon during this wild ceremony. It's a not so well kept secret that giant robo here was a jackass at the free bar later... bragging to the robot brides maids about his hard drive and slurring euphemisms like RAM and fuel injection. Sad really. More incredible photos of the finished Gundam can be seen at Shibuya 246's awesome photoblog. Cannibal Galaxy from Beyond Space! - The undead, zombie Andromeda Galaxy is hungry for stars! Zombie flicks are so passe. Especially since our poor little Milky Way is due for a deadly cannibal galaxy attack!!!!!! "...the "semi-digested remains of dwarf galaxies" and streams of stars being sucked into Andromeda, the nearest galactic giant to the Milky Way that is home to our planetary system. They've also documented a remarkable encounter in which Andromeda tore millions of stars away from its galactic satellite Triangulum." Andromeda is surrounded by the remains of millions of galaxies who have been swallowed whole by its massive gravitational pull. The whole thing reads like a James Cameron epic, only entertaining. Only one character in this stellar thriller has evaded the jaws of Andromeda so far; the plucky Triangulum galaxy. The astronomers have also found evidence of a close encounter with Triangulum, a small satellite galaxy. "It passed close to Andromeda and started to feel its pull," says McConnachie noting Andromeda is "a big beast" with incredible gravitational power. Its pull is so strong that Triangulum started losing stars. "Easily millions of stars," he says. Triangulum managed to escape — albeit with fewer stars. But McConnachie says it will ultimately be pulled back in. "In fact, it is starting to fall back into the Andromeda galaxy right now," says McConnachie, who thinks in extremely long time frames." Braaaains! Er, I mean, Staaaaarzzz! 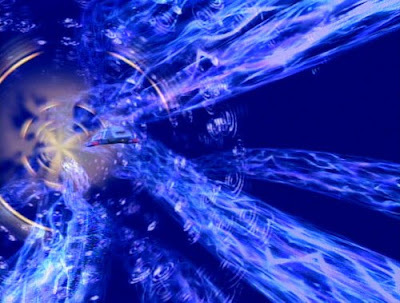 A movie, er, simulation of Triangulum's interaction with Andromeda can be found here at the project's Canadian website. I hope it's a rough cut because it needs help with pacing to build the tension. And worst of all? Andromeda's coming for us! Team Leader Alan McConnachie warns that in three to five billion years we could also be ingested by the hungry galactic cannibal that is Andromeda. "The Milky Way now coexists in the same cosmic vicinity as Andromeda. But McConnachie says the two giant galaxies, which are moving toward each other at more than 100 kilometres a second, are headed for a major dust up. "The Andromeda galaxy is heading straight for us, for the Milky Way galaxy," he says, adding that he sees no way around a "full-on collision." I suppose shooting it in the brain is out since it's so damn difficult to find a brain. It's like looking for a needle in a universe. And the bullet could takes decades to actually reach anything. It's not even traveling at the speed of sound, after all. Drok it! Let Andromeda come. It can pry Sol out of our cold, dead, fossilized hands. The human race will be long gone by then so I suggest we start rocketing all out hazardous waste into the sun so that by the time Andromeda ingests it all that mother-$!#king galaxy will get is a galactic case of indigestion. Got Blue Milk? 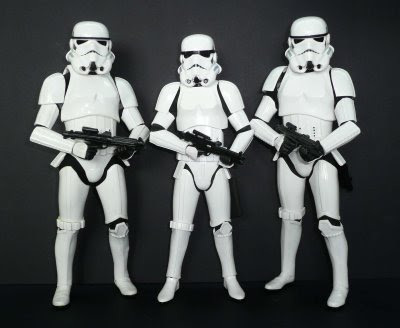 - Wouldn't you like to get away to galaxy far, far away where everybody knows your clone serial # and they're always glad you came? First they shared a batch of clone DNA. Then they shared combat duty against rebel assaults across the universe. But when the blaster fuel cells are depleted and the battle is over, they share camaraderie over pints of blue milk. Thanks to Jonathan Llyr at Hardcorenerdity for the heads up on this. "I believe that good questions are more important than answers, and the best children's books ask questions, and make the readers ask questions. And every new question is going to disturb someone's universe." She passed away on September 6, 2007. The New York Times obituary summed up the 88 year-old as an author “whose childhood fables, religious meditations and fanciful science fiction transcended both genre and generation,” joining many news agencies and journalists in pigeonholing her as a children’s author when she was so much more. 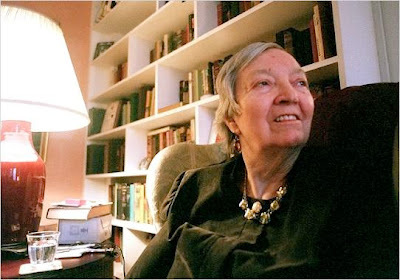 The article suggests her literary output, which included poetry, plays, books on religion and prayer and autobiographical works were all “deeply, quixotically personal” then quotes Marygail G. Parker from the Dictionary of Literary Biography, who described “a peculiar splendor” to L’Engle’s work. Quixotic? Hardly. Though L’Engle often implied her subconscious was in control of the writing of her most successful works and she was compelled to write them, few authors had a voice so uniquely personal and such command of poetic simplicity. 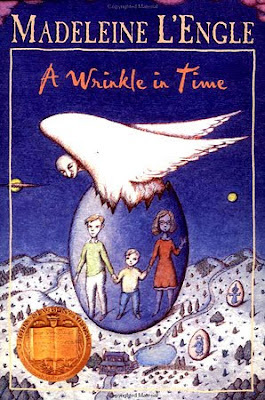 Like so many, I discovered L’Engle’s work as child through her much celebrated novel, A Wrinkle in Time. Her skillful blend of fantastic adventure, family drama, Einstein’s theory of relativity, Planck’s quantum theory, and human emotion reached me on so many levels at once, the book fairly vibrated with harmonic energy. For many, she was our first introduction to such high concepts. In her 1998 acceptance speech upon receiving the Margaret Edwards Award (The American Library Association’s Lifetime Achievement Award for Writing in the Field of Young Adult Literature) L’Engle addressed some of the controversy attached to her young adult work. 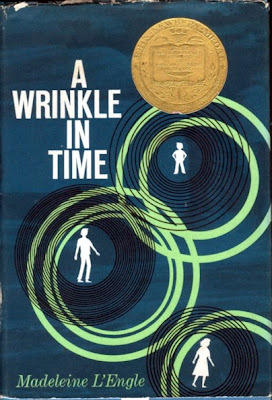 It is still amazing to me that A WRINKLE IN TIME was considered too difficult for children. My children were seven, ten, and twelve while I was writing it, and they understood it. The problem is not that it's too difficult for children, but that it's too difficult for grown ups. Much of the world view of Einstein's thinking wasn't being taught when the grown ups were in school, but the children were comfortably familiar with it. MEET THE AUSTINS (the book which preceded WRINKLE) took two years to find a publisher—largely because it begins with a family's reaction to the death of a beloved uncle, and children were not supposed to know about death. Largely, I suspect, because it upset their parents). But again I was writing out of my own experience, and how my family accepted grief and loss and death. I think it made my children stronger than if we had gone placidly along with no traumas to work through. Madeleine L’Engle had faith. Faith in God. Faith in humanity. She had little time for dogma and that made her difficult to live with for those who preferred using doctrine to control and shame others into conforming to their limited world view. In an interview on Religion and Ethics Newsweekly, L’Engle admitted she considers religion and science to be linked. Religion and science? One and the same. I don't have any trouble with it. A lot of people do. They have to put one here and one there. And I think they're much more like that, each one informing the other… Religion is less accepting than science. Science knows things move and change, and religion doesn't want that. So, I am more comfortable with science. At the same time, I am not throwing God out the window. I respect that world view and the strength it sometimes takes to stand by it when under heavy criticism. As a writer for children, I have often been confronted by parents telling me what their children don’t like about a show. Inevitably, they share something that disturbs them, not their children. L’Engle never wrote down to children but rather, wrote up to their humanity and search for knowledge, posing questions that encourage them to find their own answers and seek out new questions. Producers and broadcasters constantly instruct me to avoid big ideas and concepts, use small words rather than ”language.” It’s a constant struggle to expand the worlds of children even as we’re asked to make it smaller and smaller. Horizons aren't meant to be reached by stretching out your hands. They’re meant to instill desire and they’re meant to be harder to get to. How mundane must we make the dreams of children? 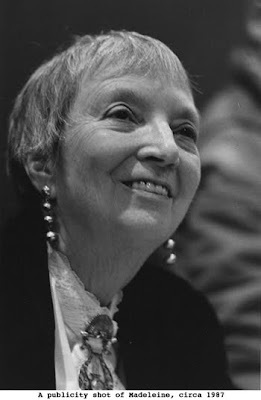 For the rest of the world, Madeleine L’engle died on September 6, 2007. 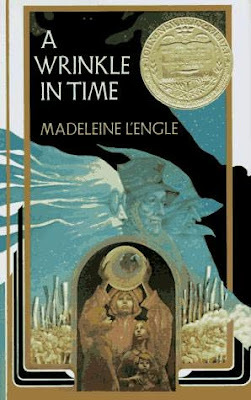 For me, Madeleine L’Engle died the following year, in July 2008. She passed the moment I stumbled across that uninspired New York Times obituary. Though much of the world had already mourned her passing. I was experiencing the first shock of grief – an emptiness in my heart where L’Engle’s place had been. A space I didn’t realize was there. 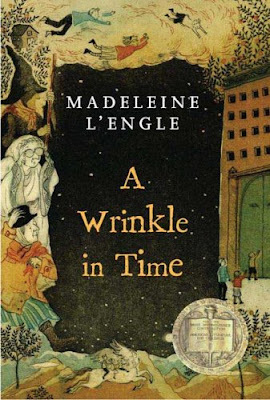 L’Engle was the first one to teach me that time is fluid. It depends so much on perception. It flies when we’re having fun. It drags when we are scared or worried. It stops when we are at the lightning edge of new revelation. In addition to a pervading sense of loss, I experienced one of those revelations when L’Engle died the second time.. I realized that I had often measured the truth of my words against hers and found my work wanting. 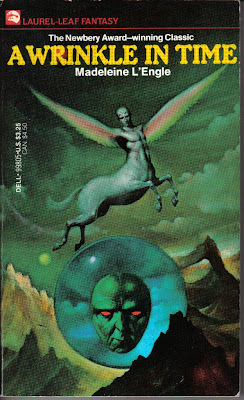 I witnessed L'Engle's death again months later when I told a friend who loves sci-fi about the author's passing. For my friend, the devastating news was new and fresh. Despite the actual death occuring more than a year earlier, her grief was very much happening right now. As I watched her suffer I was carried back on the wave of her anguish to my own moment of loss. But if our experience of death of someone meaningful to us could happen multiple times, then so too could our experience of that person’s life. Every time I pick up one of L'Engle's books I re-experience the emotions they had first stirred in me, almost as if reliving that first time. The writing touched me in a place I can reconnect with instantly, proving that time, or at least our perception of it (And aren't time and perception of time the same ting really?) is not linear. Time is not linear. Madeleine L’Engle told me this and Madeleine L’Engle showed me this. We generally experience time as a linear series of events so we can all communicate and feel we are going in the same direction. That shared perception of moving forward through experience is one of the things that unites us all. But at any given moment we may find ourselves out of sync, be stuck in the past or anticipating the future. Like right now, for me. Several weeks ago I lost my father and I have been unstuck in time ever since. I’m thankful that over the past few years my father and I have both made an effort to get to know each other better as individuals and not just as father and son. A great deal of the credit for this transformation to our relationship is due to my wife, whose love for family seems truly unlimited, despite the pain that sometimes brings. 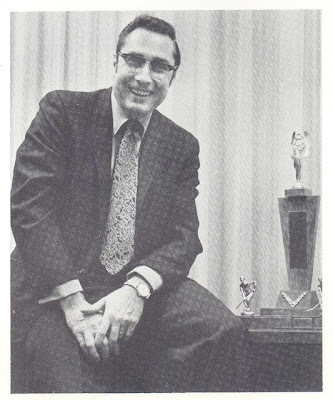 Though Dad’s health had been declining for many months and he and his wife kept us more or less informed as to the details of his ailments, I can’t help but feel they kept the true depths of his decline to themselves as they quietly prepared. Perhaps I was not in touch enough to properly track events. Quite possibly I simply wasn't eager to know. I now have all the more reason to cherish a surprise visit my wife and I made to my Dad and his wife, Marlene, to spend a day driving in the countryside outside of London, Ontario. Though he was unable to walk very far, he enjoyed being our chauffeur, parking the car and watching through the windshield as Marlene took us through a lavender farm and various roadside attractions. We then ate an early dinner in a lovely, nearly deserted café. My attempts to sit in the car with Dad and chat as Marlene and Jill shopped were gently refused. Dad was eager to see us all enjoying ourselves. In retrospect, is it possible he was subtly preparing us all to move on and enjoy life without him, for the day when his spirit would be watching from a greater distance? It’s the natural order. No parent wants to outlive their children. They want to know their family will be strong and move on in life, never forgetting but never regretting. It’s part of our growth as people, a growth that will never truly be fulfilled until we experience and survive their passing, taking strength from their memory. Upon hearing about my father’s passing, a friend pointed out another side to the experience in this way, “Now you get to start a whole new relationship with him.” I suppose that I already have started a new relationship with my father, though where it takes me will only be revealed in time. It certainly worked that way when my Mom passed away while I was in university. I stumbled along and as I learned more about my mother she became more than just a Mom. She grew into a person in my head. It takes a long time to acclimatize yourself to losing a parent at a young age but I suppose I found it all the more difficult due to the suddenness of her departure. She simply winked out of my life. No warning. No drama. She was there and then she wasn’t. I like to imagine she tessered across the galaxies to spend eternity in the company of Mrs. Whatsit, Mrs. Who and Mrs. 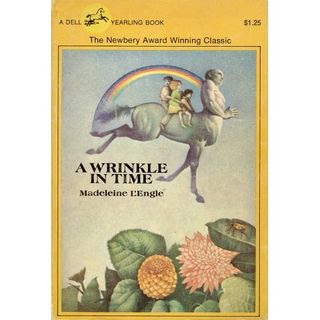 Which, who, along with Aunt Beast, represented the many facets of familial love in A Wrinkle In Time. With time I grew accustomed to this new relationship and I know in my head that I will develop a similar new relationship with my father. Some time. Just not yet. Because time is not linear. We can experience an intense reverse déjà vu (vuja de?) of a future we haven’t been to yet, but we know is coming. Even now I can catch momentary glimpses of my future self, who’s already processed this so the pain is not so fresh and therefore finds everything a little bit easier. Senses can take us back in time. A smell, a song, a taste, or a touch can catapult us backward. And sometimes time holds us in two places at once. Our minds or spirits can be trapped in the past as our present selves go forward, making coffee or reading the paper or getting back to work. I remember anticipating the premiere of Deep Space Nine after a particularly good season of Star Trek: The Next Generation. I found myself surprised at the heady mixture of speculative fiction, political intrigue, the true difficulties in fostering community and the emotional turmoil of DS9’s Commander, Benjamin Sisko played by Avery Brooks. 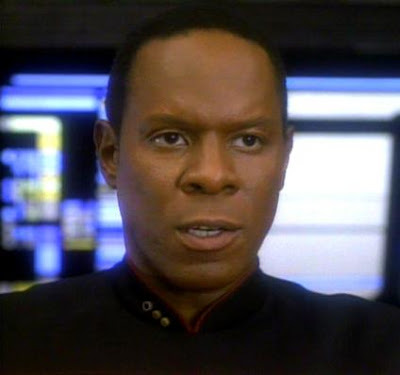 Sisko is a reluctant leader, raising his teenage son as he struggles with the loss of his beloved wife. 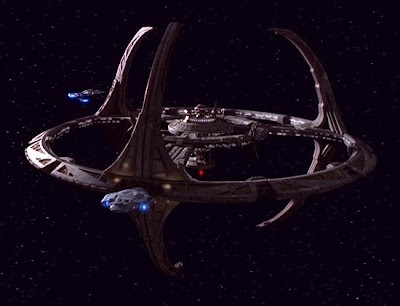 The Deep Space Nine space station is on the edge of a wormhole in space occupied by quantum beings that do not exist in linear time. Sisko’s inability to escape the memories of his wife’s tragic, final moments proves to be a point of communication between himself and the aliens. As they exist simultaneously in the then, the now and the future, so he exists in the past and present. 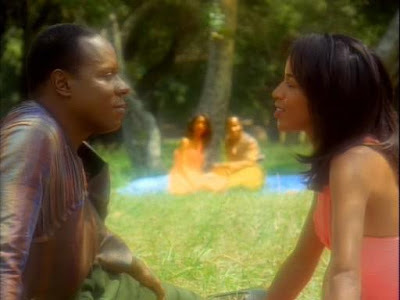 Sisko's constant flashbacks to that moment belie his attempts to explain mankind’s linear existence. I can remember being deeply moved by DS9’s two-hour premiere and Avery Brook’s charged performance. His willingness to embrace the humanity of his character made me feel less alone in dealing with my mother’s passing years earlier. My memories of Benjamin Sisko will always center on his immense sadness in the pilot and his throaty laughter in subsequent seasons, embracing two extremes of human experience. A week after Dad's death I found myself at Toronto's Fan Expo, Canada's largest sci-fi, comicbook, anime, horror and gaming convention. 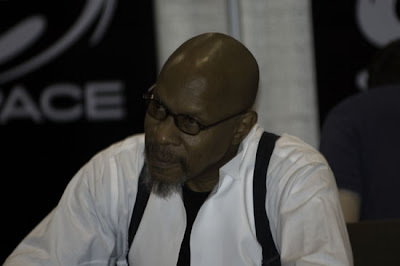 I saw Avery Brooks signing autographs and greeting convention goers at Toronto’s Fan Expo and found myself remembering that Deep Space Nine pilot. Somehow, his ability to embrace the entire spectrum of humanity in his role with joy and such joie de vive helped normalize my grief. And the memories of Sisko’s passage through his own grief made me feel less alone in my time loop. I couldn’t resist the opportunity to tell him how he helped me with my mother’s passing and now with my father’s. The poor man seemed at a loss for words (not surprisingly). Then he extended both hands to grasp my own and that gentle, generous smile crossed his face. Avery looked at me with his gentle eyes and said… I have no idea what. Something, something in his whole career, something, head nod, something. Couldn’t hear a word he said. I thought he was theatrically trained for God’s sake but he wasn’t projecting at all. But the connection was precious in that moment and I’ll never forget it. 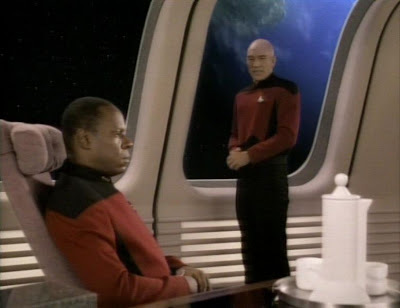 Like Benjamin Sisko, I have been caught in time loop of my own, reliving my father’s last day as I move through the days and night that have followed. My body types away at my scripts, takes notes at meetings, and tries to sleep but my mind has, well, a mind of its own lately. It gives no warning as it takes me through that last minute call to rush out of town to Dad’s bedside. I relive the near sleepless overnight shift at his bedside, first with my sister and eventually, all alone. Returning after a few hours sleep to relieve Dad’s wife and holding his hand and talking to him after his pain moans turned to steady breathing, which soon would gradually slow to nothing. Each time I am hijacked in this way, I feel suspended in utter stillness then I find myself right back in that room. I can look around the room and see what time of the day or night it is. I can smell the hospital’s hand disinfectant and hear the steady chug of the oxygen, emitting its gentle mist to reduce the drying effect of pure CO2 on Dad’s throat and lungs. But mostly I hear his breaths grow short and the gap between his final gasps lengthen. I wait, relieved each time a new breath comes and look in his eyes, hold his hand (Jill holds the other) and talk to him about his family, and where each loved one was at that moment, his wife, his children and his grandchildren. And then, the space between breaths become all there is and he is gone. A smaller percentage of the time I spend in the past takes place in the hours immediately following Dad’s death. I spent them contacting the family and waiting for my brothers and sisters to have their final time in the room with our father. I suspect they are all experiencing their own time loops. I know my oldest brother is. After a conflicted relationship with my Dad he likely has many things left unsaid. And I know to some extent, his feelings and judgments regarding those old wounds are locked in the mindset of the child who first experienced them. I hope he finds his way out. Though I am spending extensive time in that final day, I am grateful I’m not alone in those concluding moments. Though I never take my eyes away from my father’s (these instants are too precious), I know that I have but to glance to my left and I will see my beloved wife holding Dad’s other hand as she sends her considerable reserves of love to Dad and for me. But I don’t ever look at her. If I look I may break down, overwhelmed by the unending depths of her love and support and unable to cope with the intense reality we’re facing. I look into my father’s eyes and he looks back, ready to move on and knowing his family is ready for him to go. I look into my father’s eyes and he looks into mine until he'd no longer there to look. Jill and I exit the hospital, the storm of the day (which brewed up a tornado north of Toronto in a masterfully timed example of pathetic fallacy) is over and the sun streams through the clouds like the climax of some widescreen, Technicolor, biblical epic. We breathe in fresh air. And just like that I’m back in the present. My wife is my anchor in the now. Just as Dad’s wife, Marlene, allowed him to live a longer and happier life, so too does mine. Life and death go on as always. Eventually I will spend less time in that room and more time enjoying the memories of my Dad when he was hale and hearty, young and robust. But if I must be trapped in that final day a little while longer, I am grateful that I am not there alone.